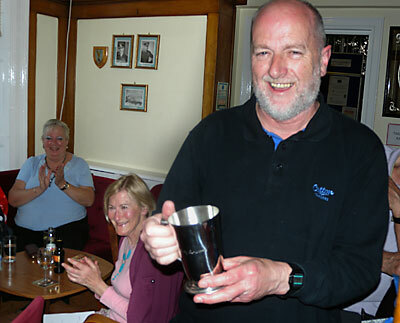 Adrian Green was presented with a tankard on resigning as group secretary, to commemorate the fact that he had held the posts of either secretary & chairman of the group over the last 25 years. On June 11th, members of the group performed at 'Kursaal Vaudeville' as part of the Southend Fringe Festival at The Kursaal Function Suite Southend Seafront. 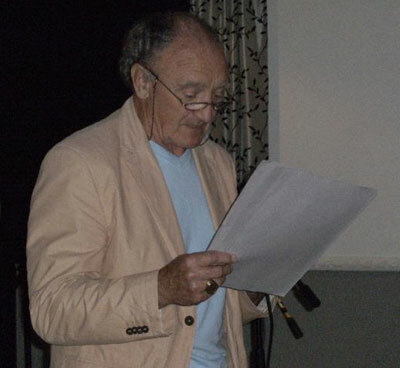 Dennis Ahern reading at the Kursal variety show. 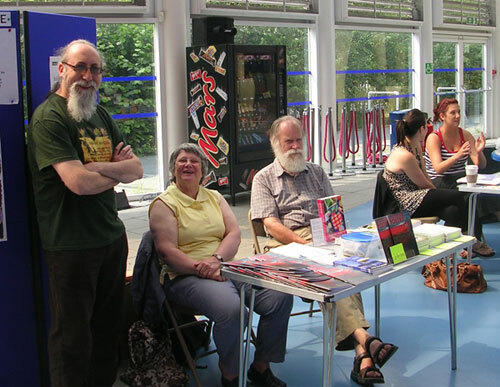 Saturday 26th June, Derek Adams, Dorothy Turner & John Debenham flying the flag for the poetry group at the Southend Book Fair. 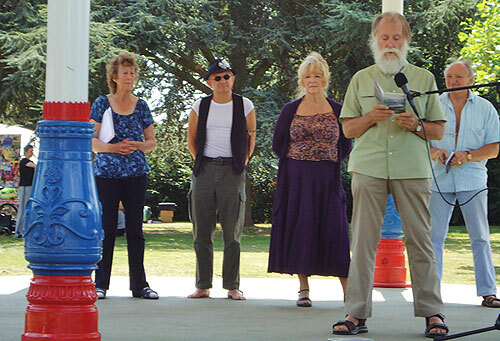 On Saturday 13th June 2009 the group performed at Southend Bandstand, Priory Park, alternating readings with music from The Seasiders.